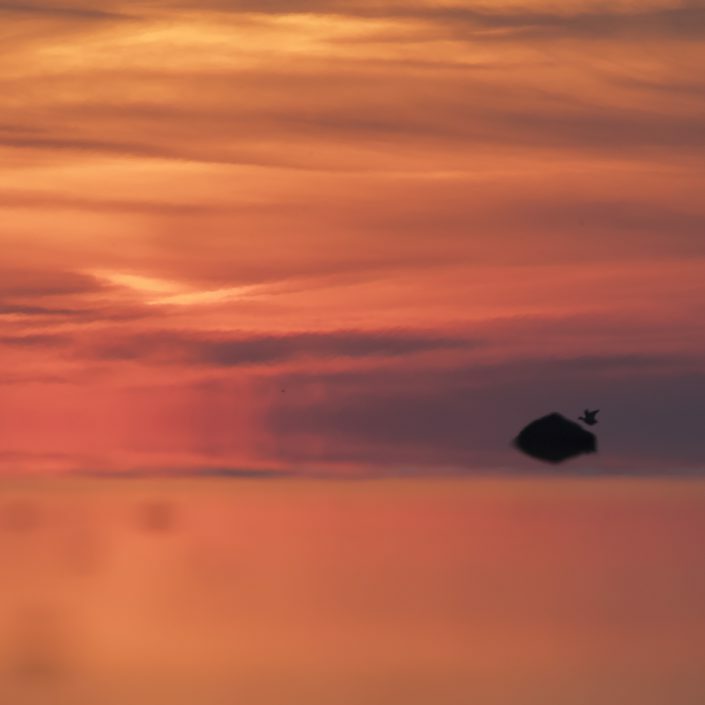 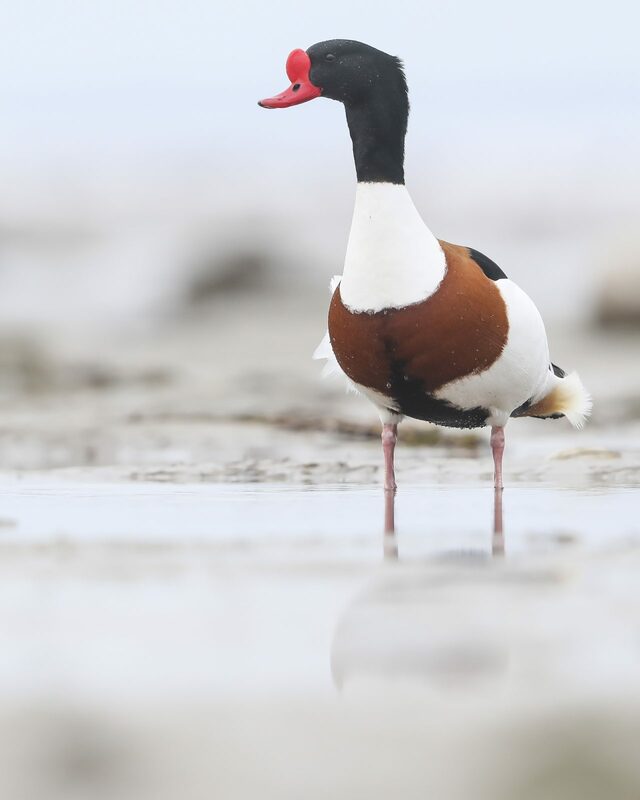 is a waterfowl species shelduck genus Tadorna. 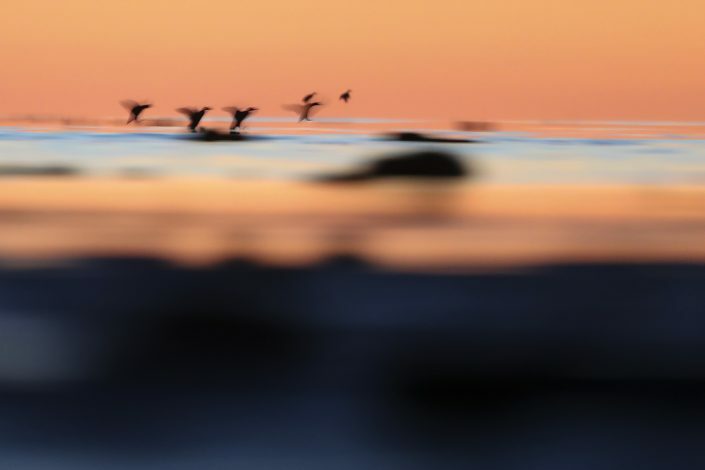 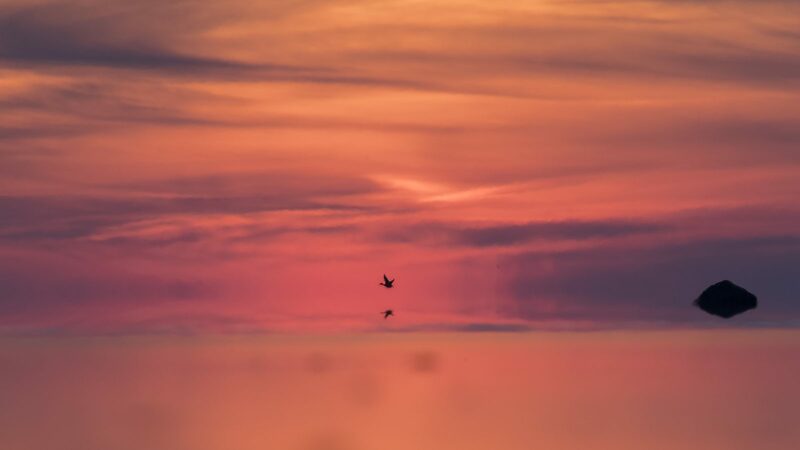 It is widespread and common in Eurasia, mainly breeding in temperate and wintering in subtropical regions; in winter, it can also be found in the Maghreb. 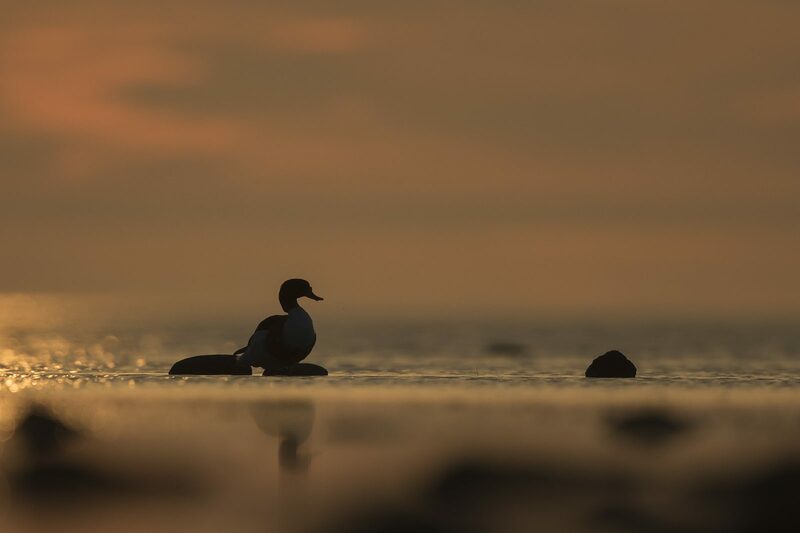 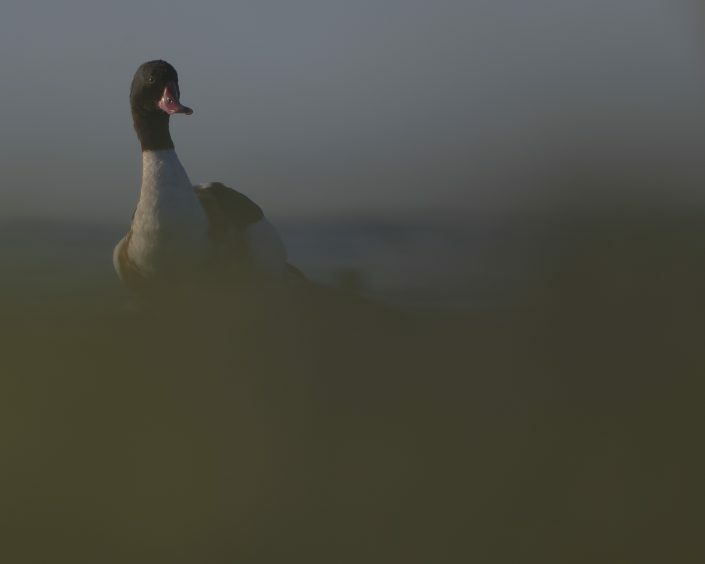 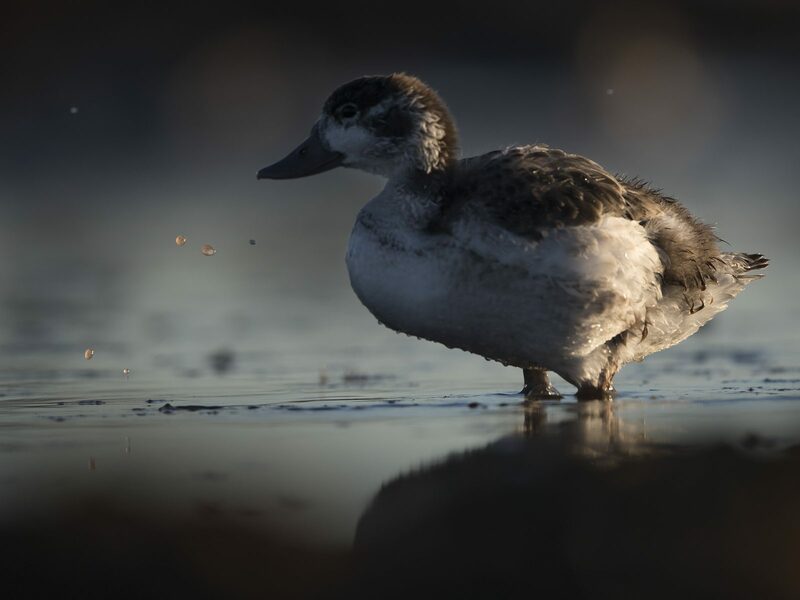 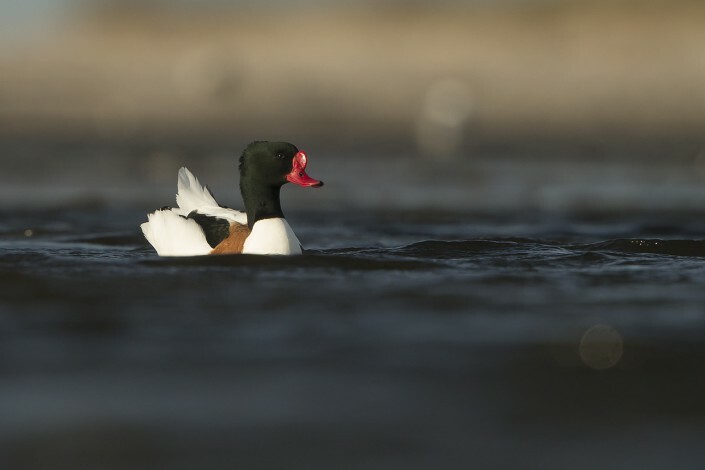 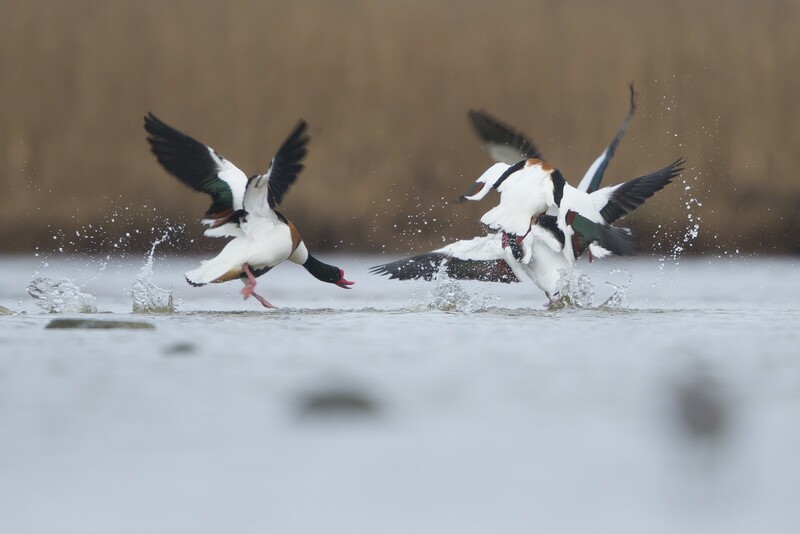 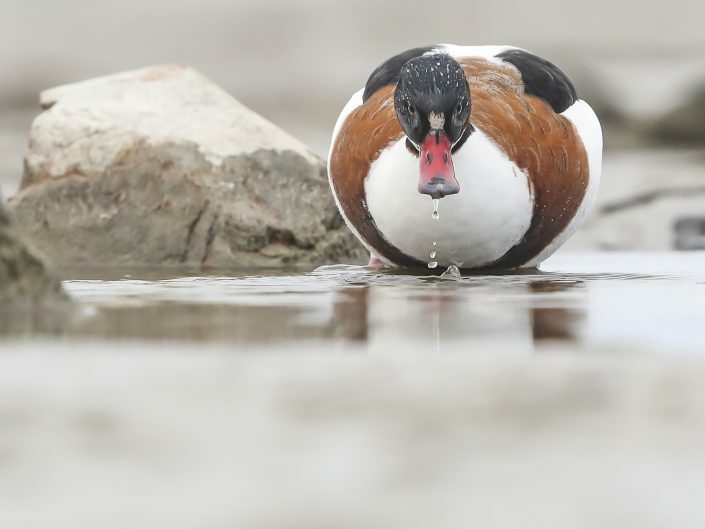 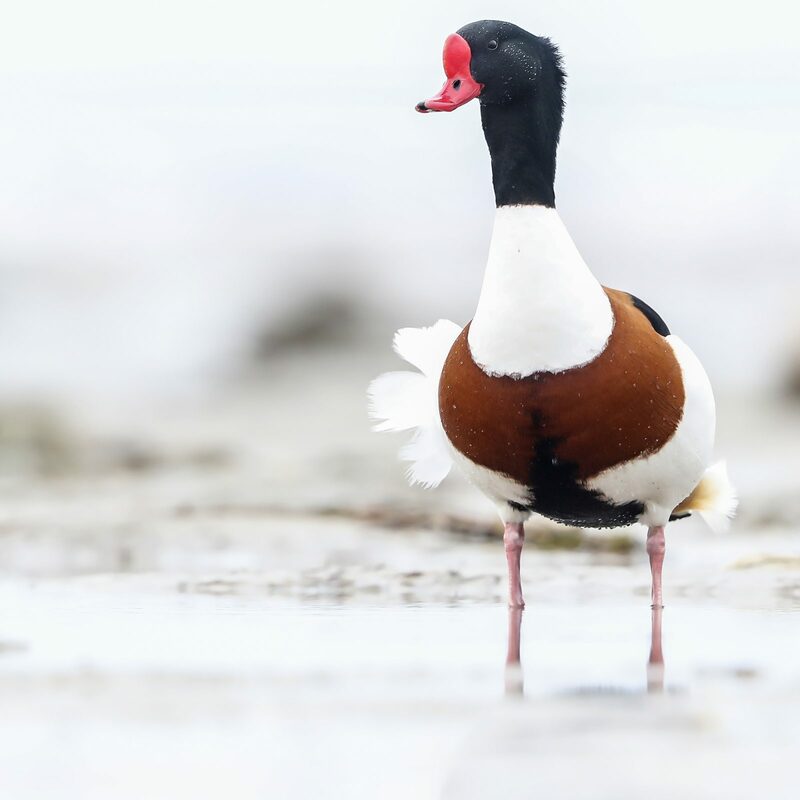 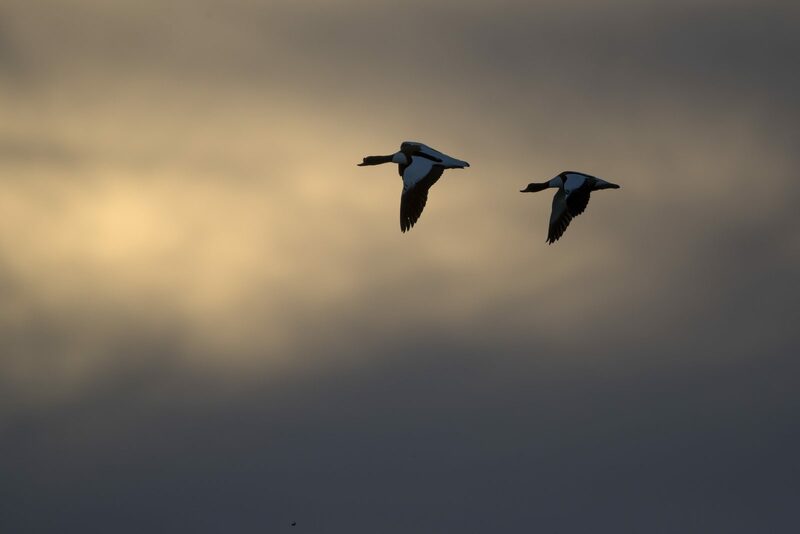 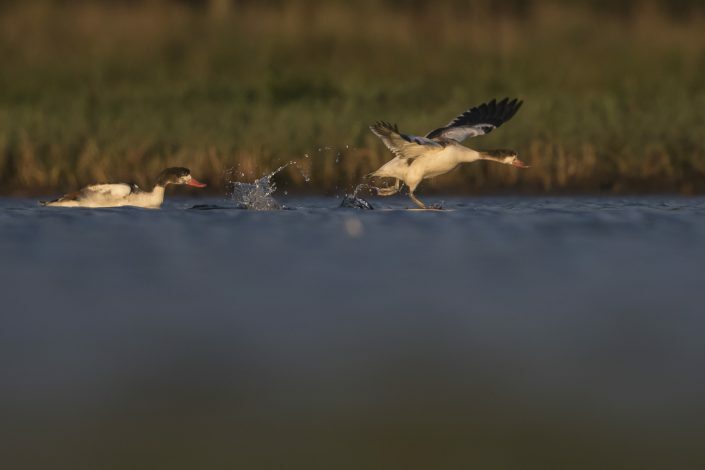 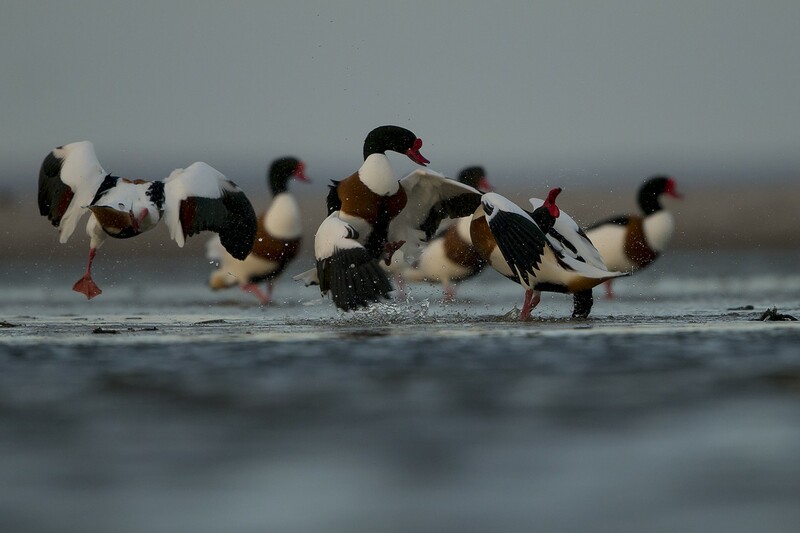 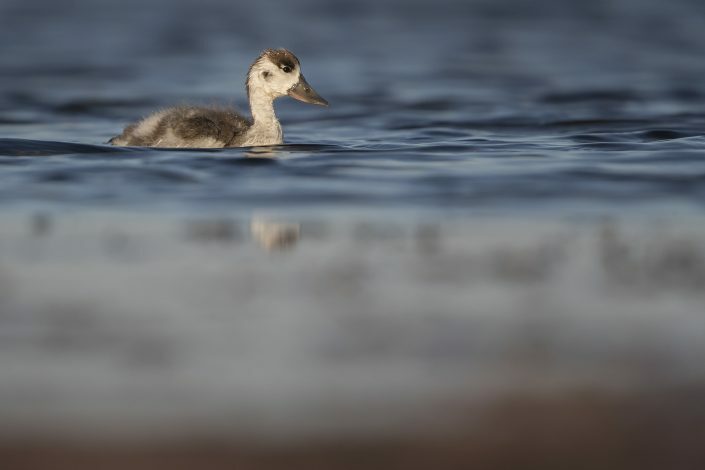 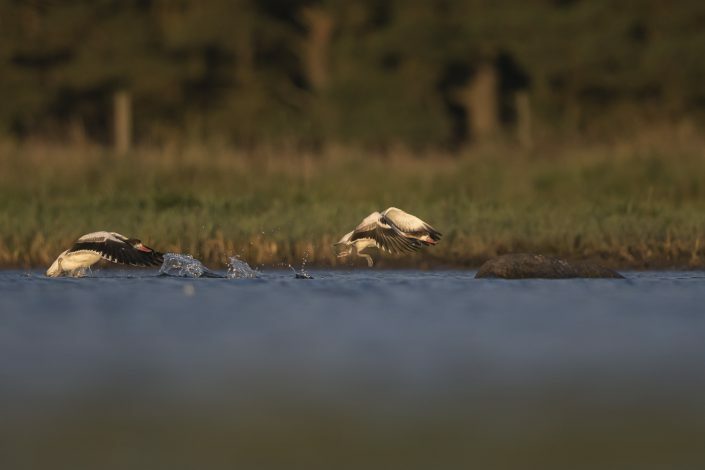 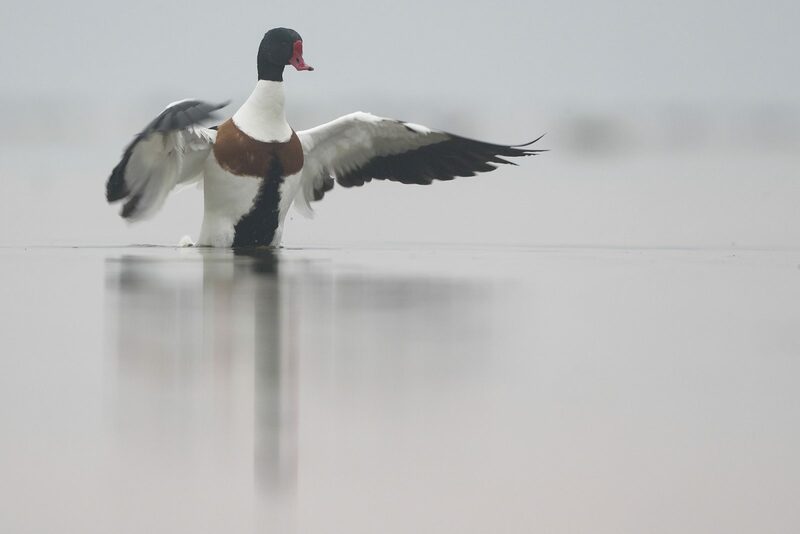 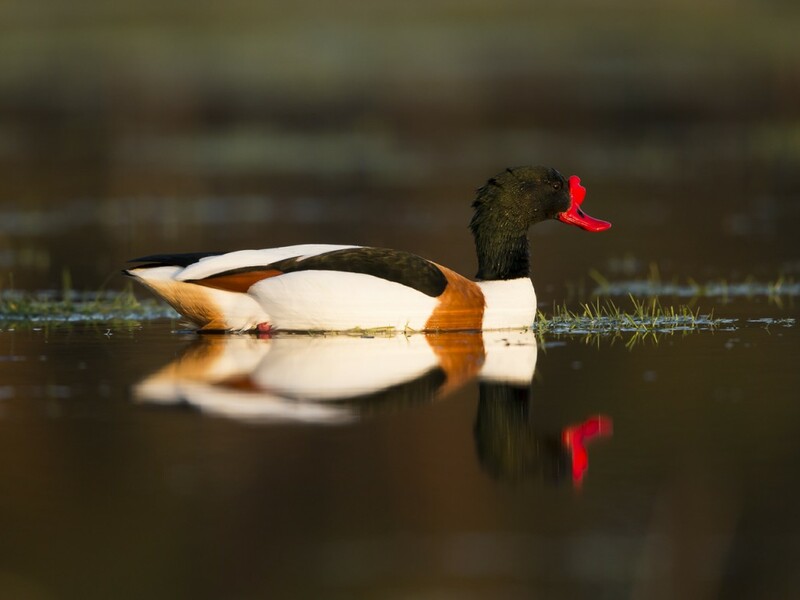 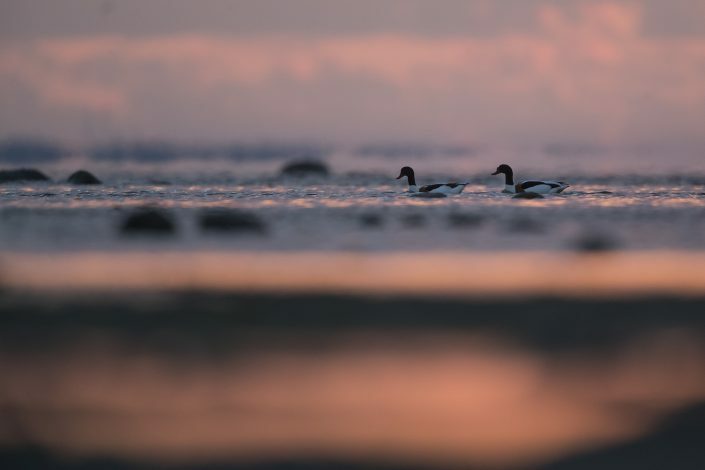 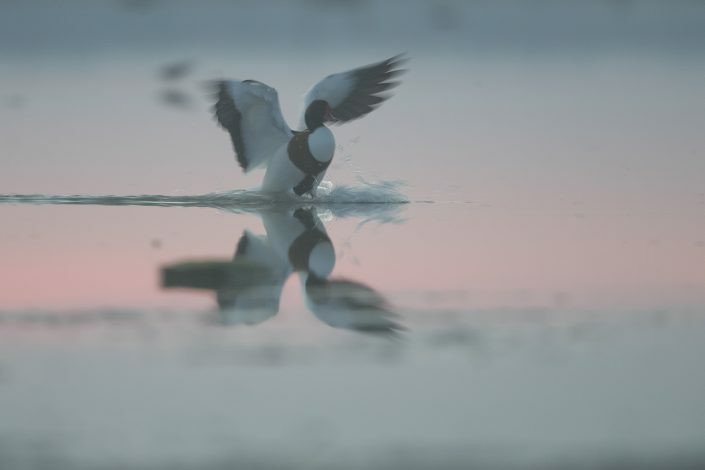 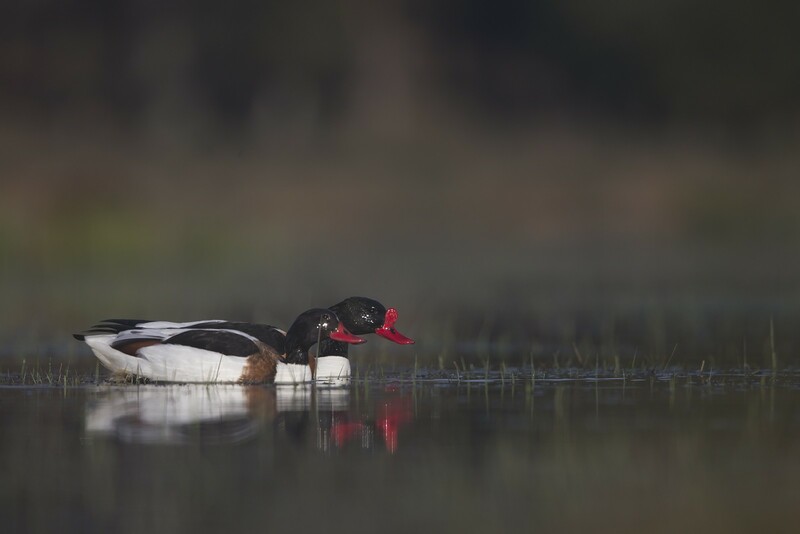 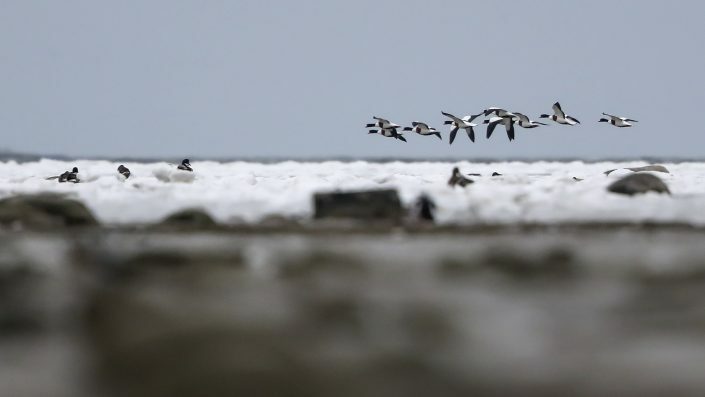 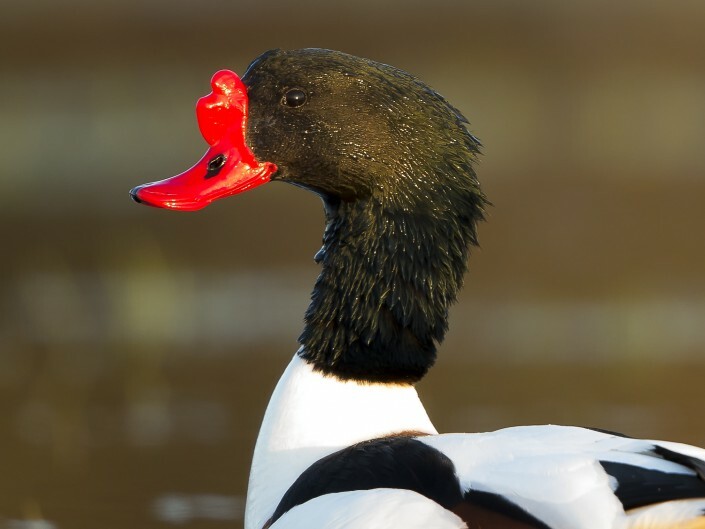 Its scientific name comes from Celtic roots and means “pied waterfowl”, essentially the same as the English “shelduck”. 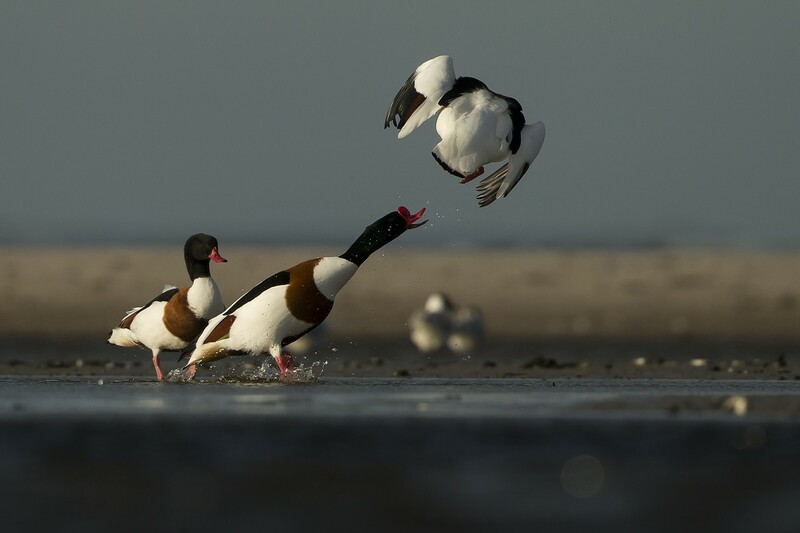 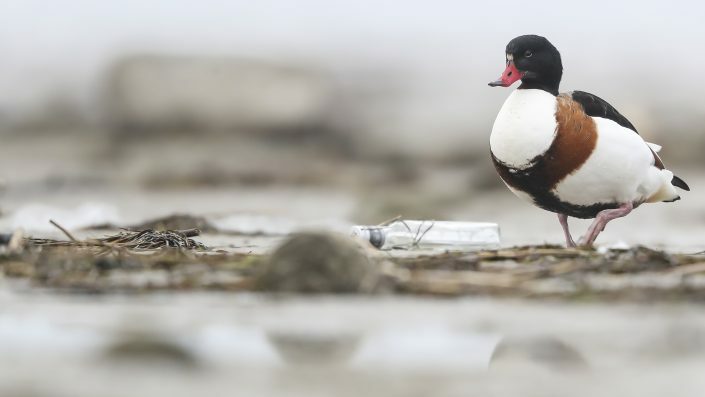 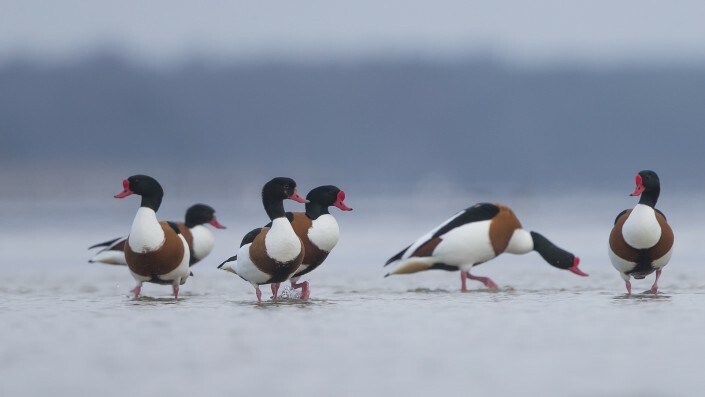 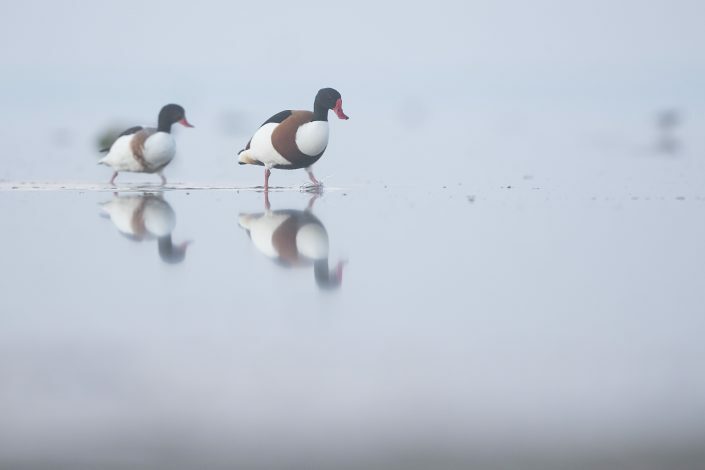 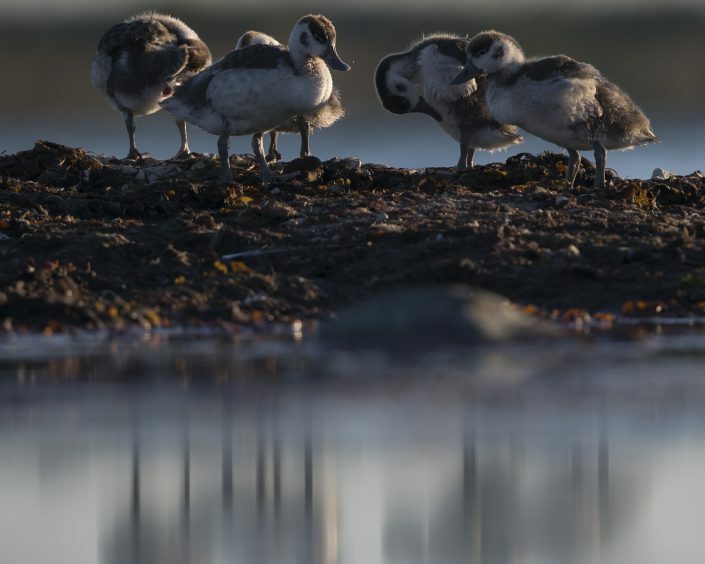 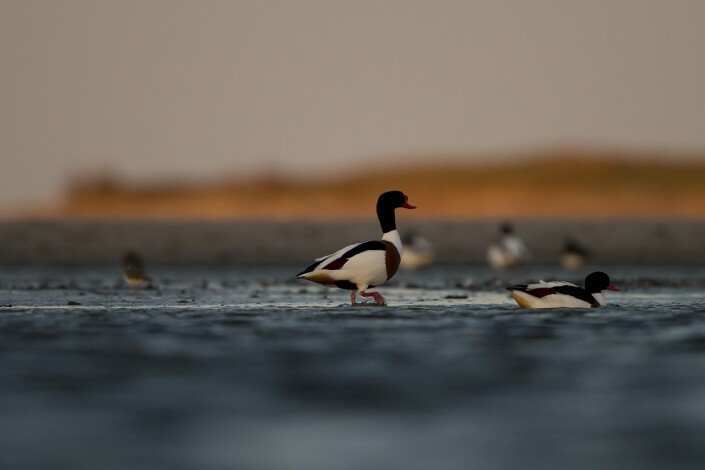 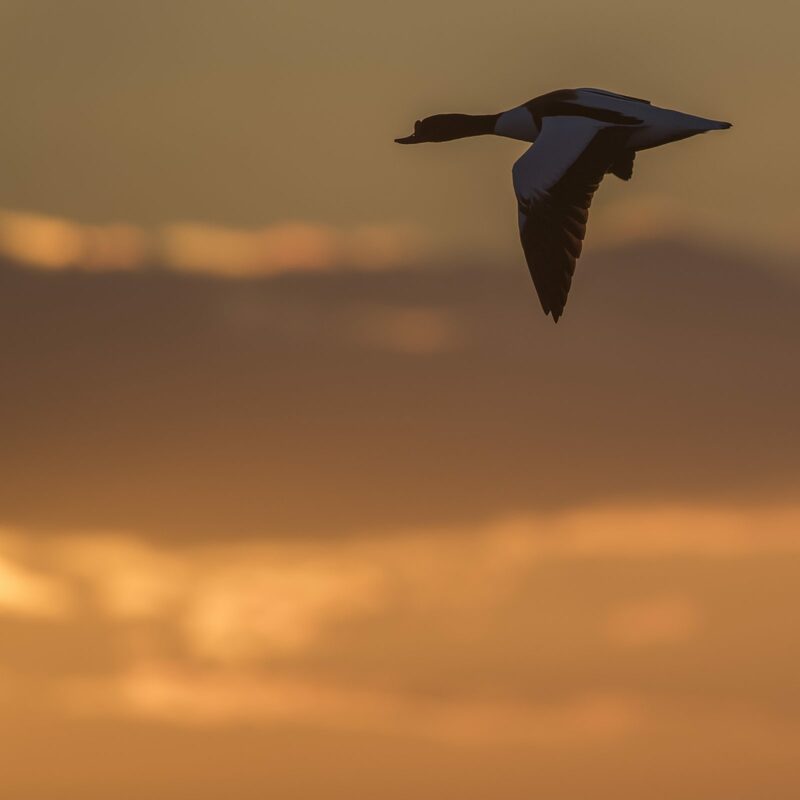 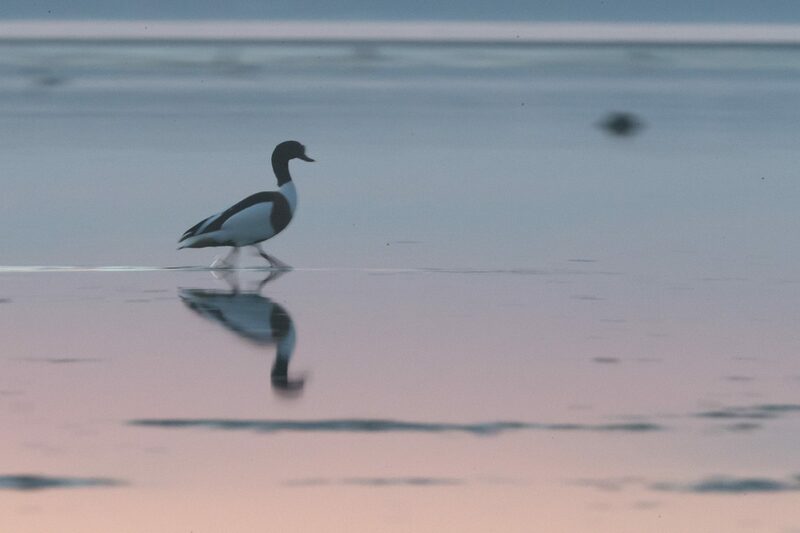 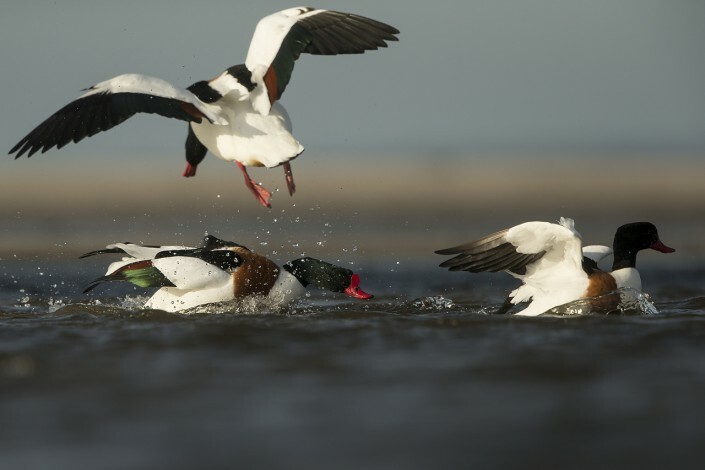 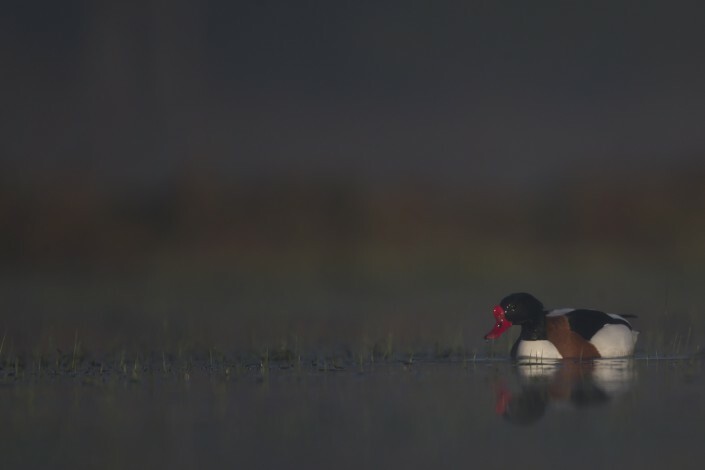 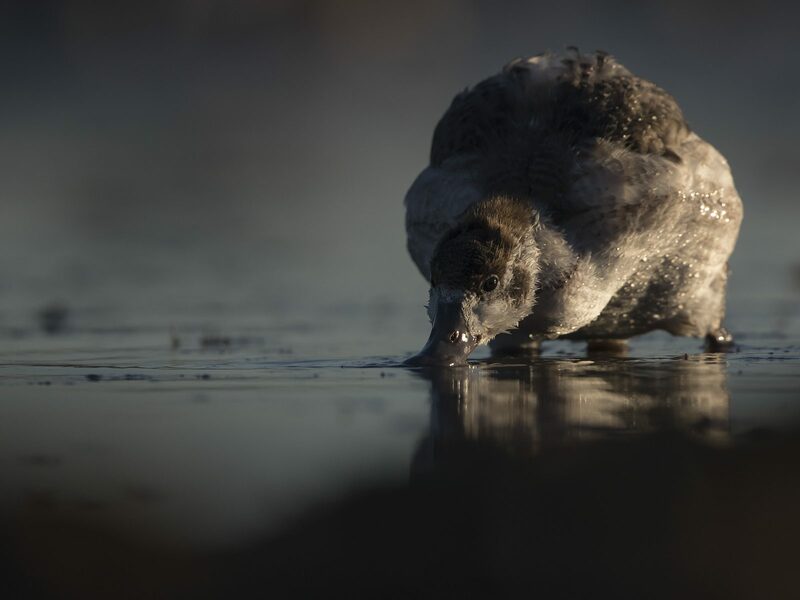 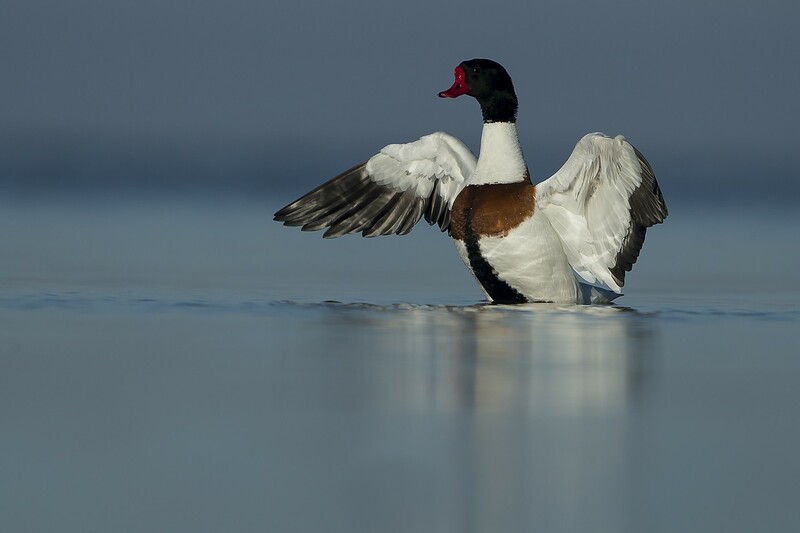 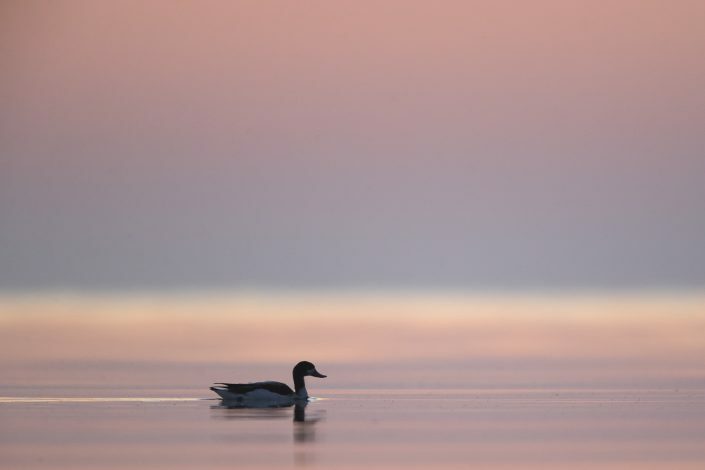 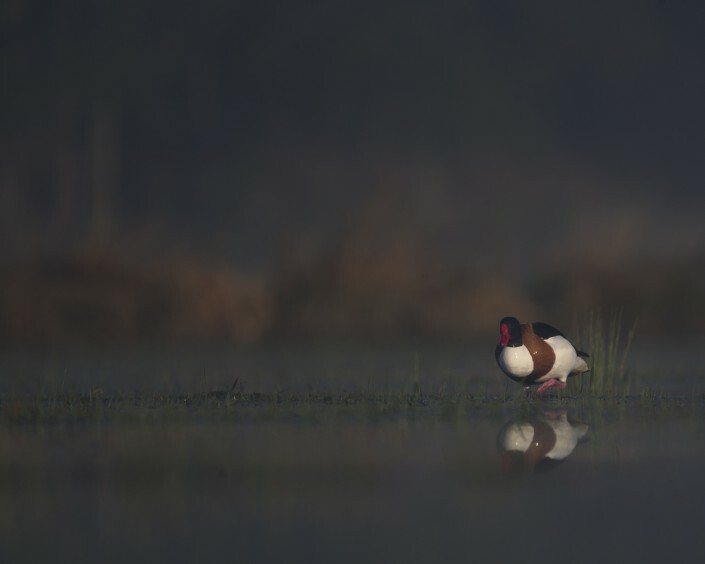 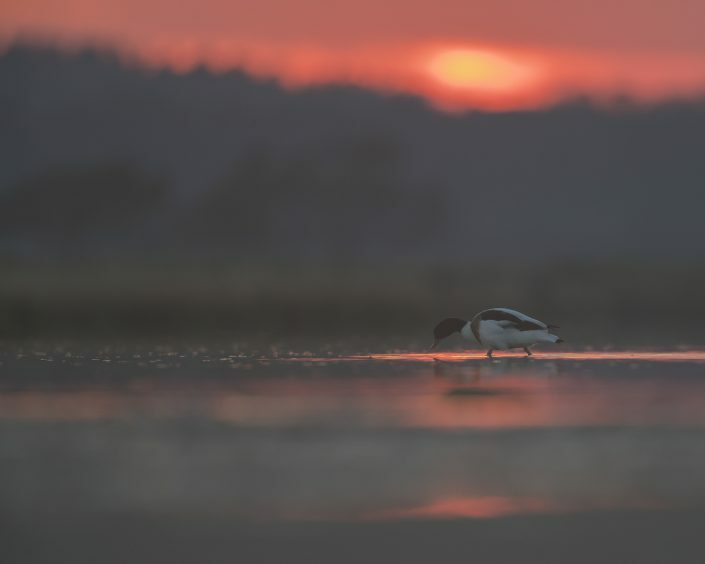 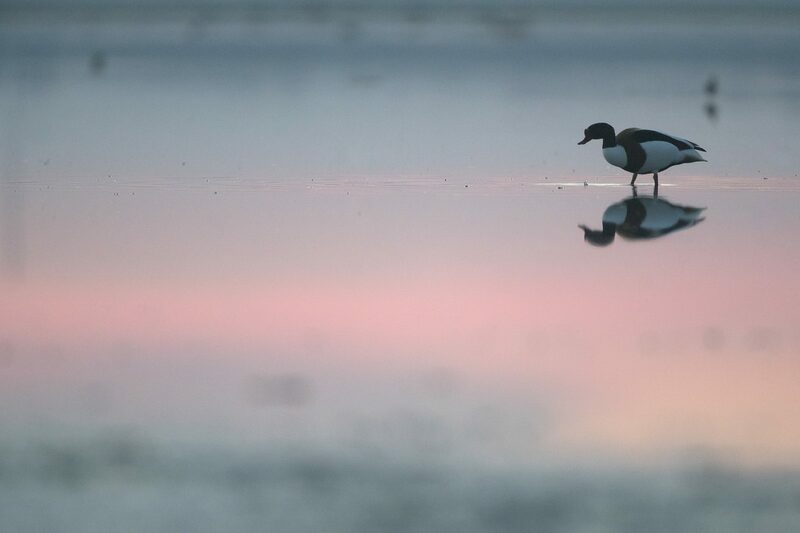 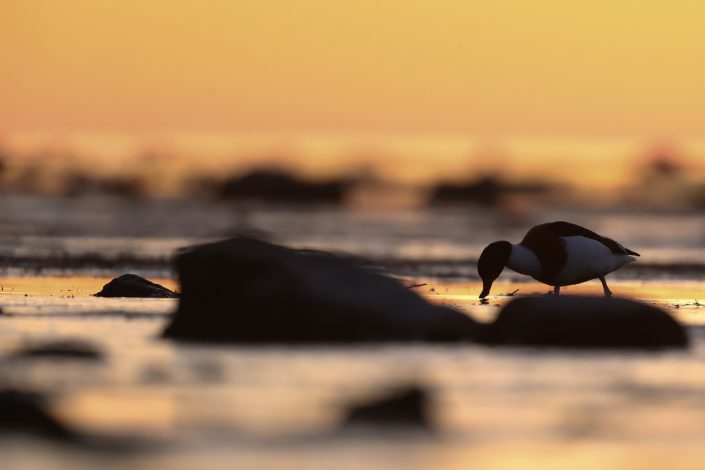 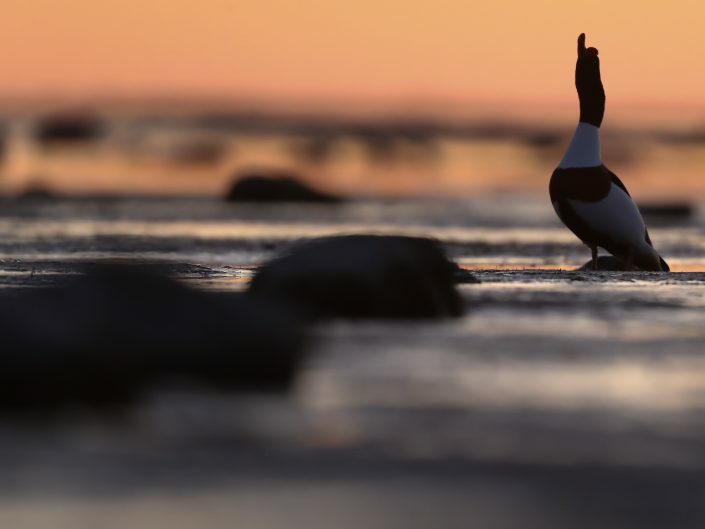 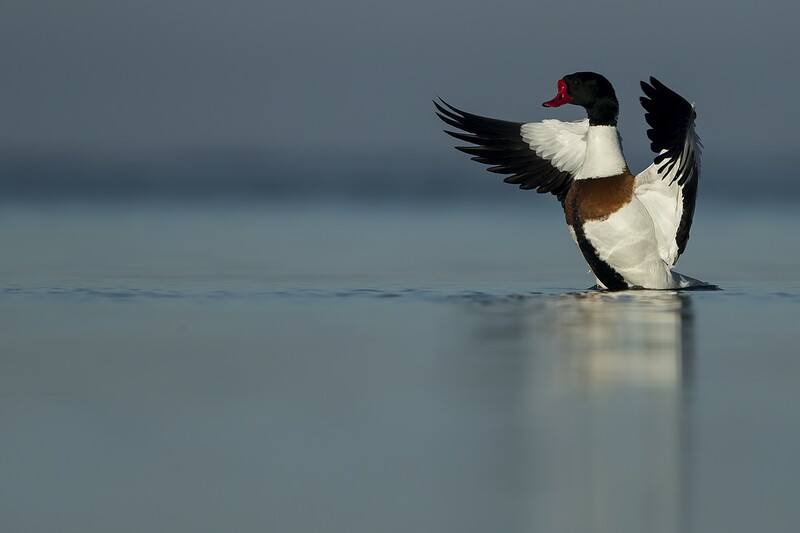 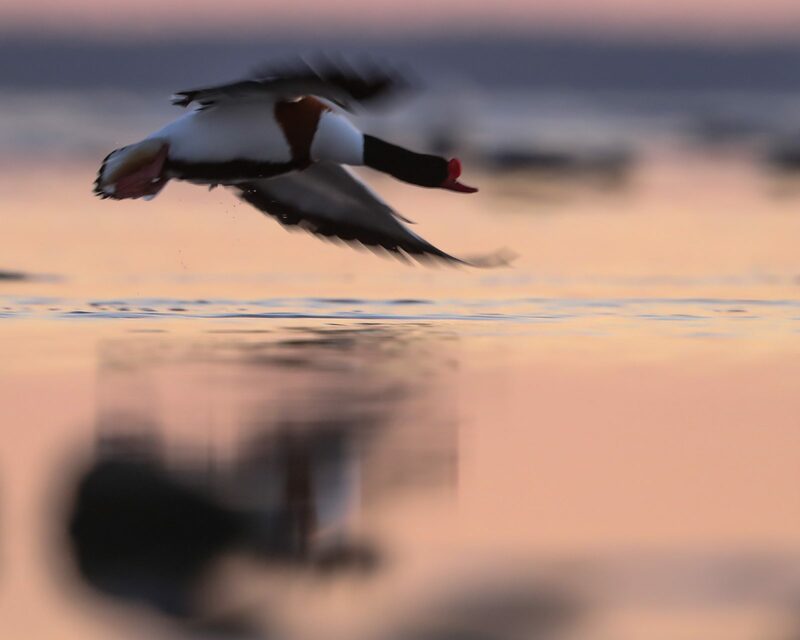 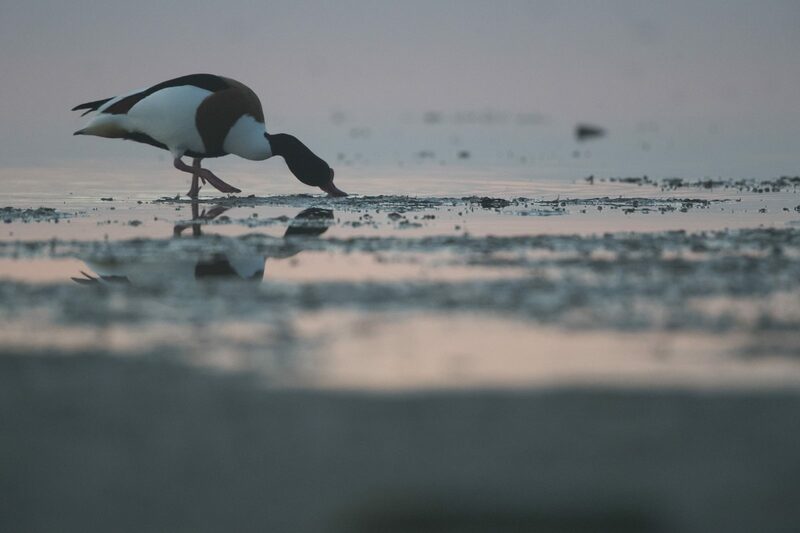 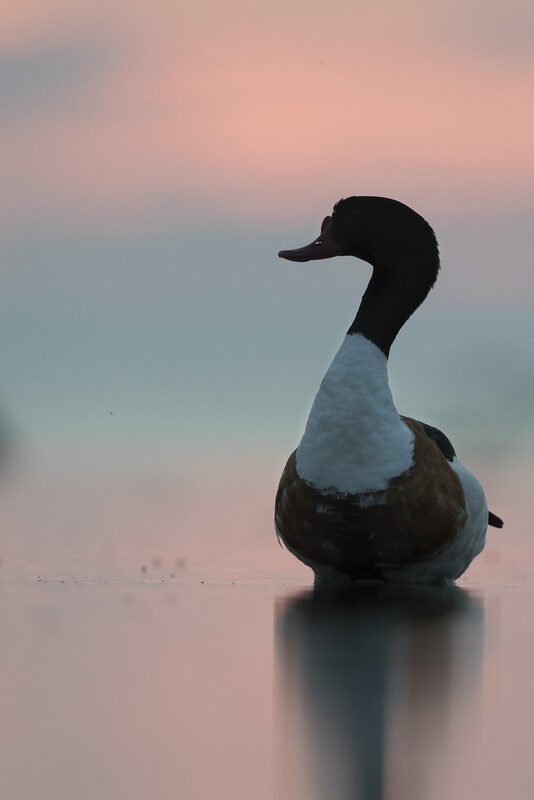 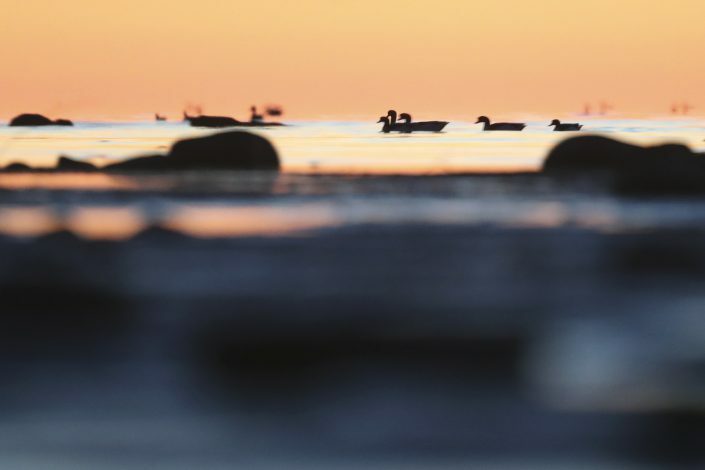 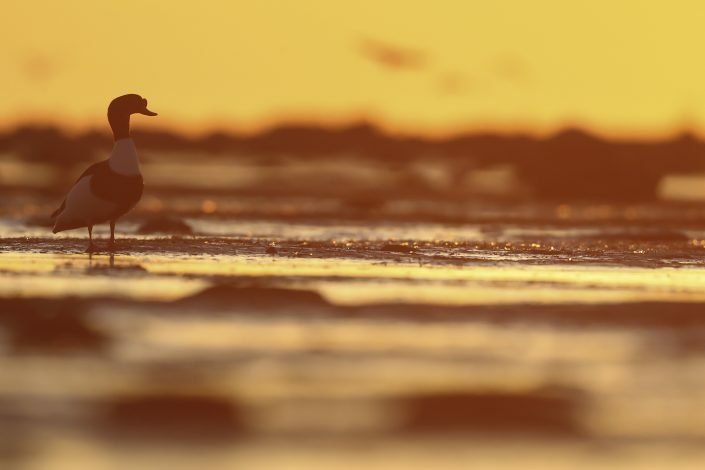 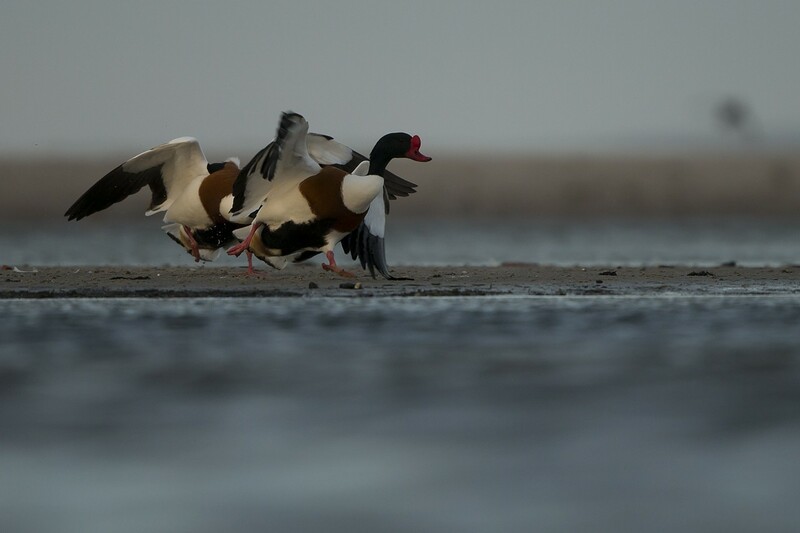 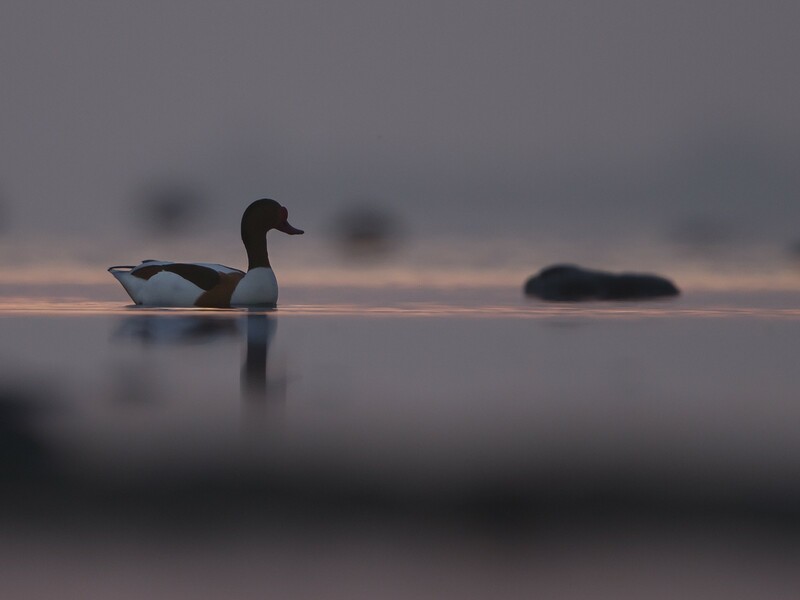 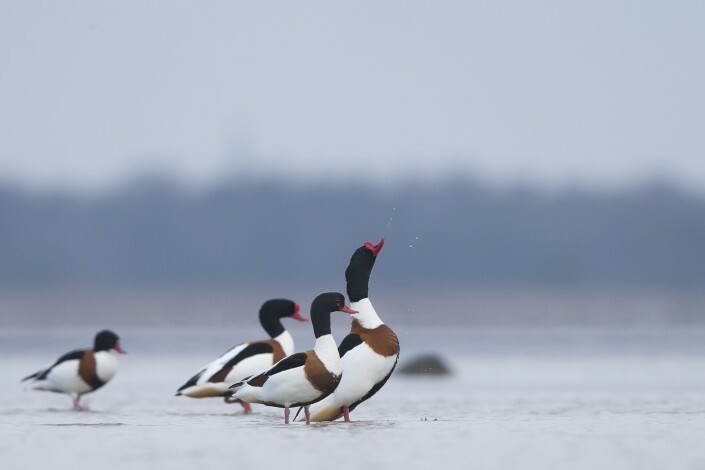 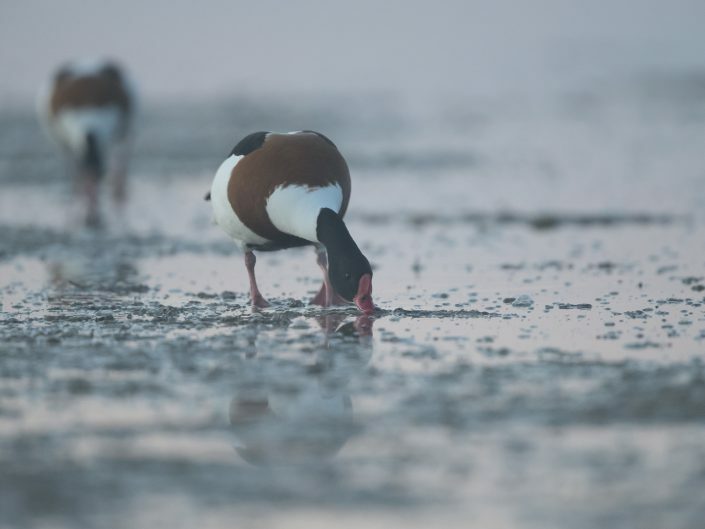 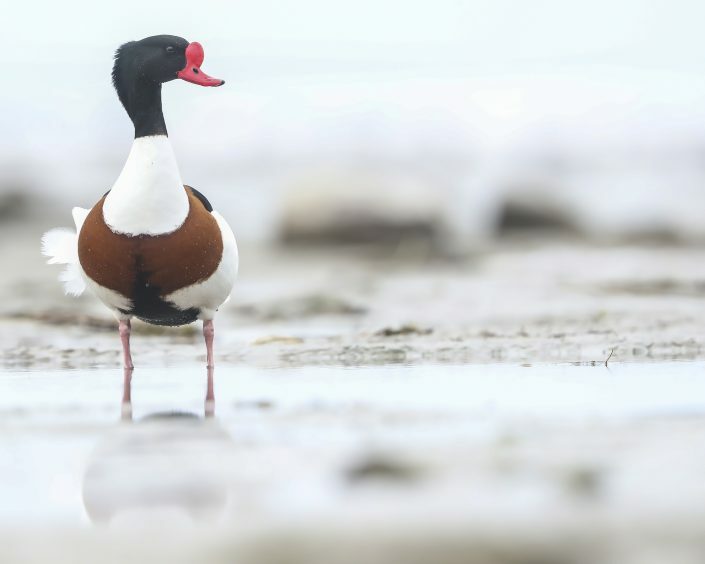 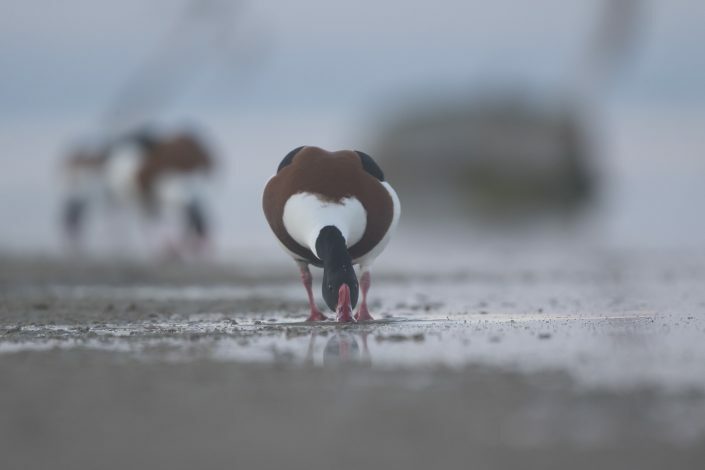 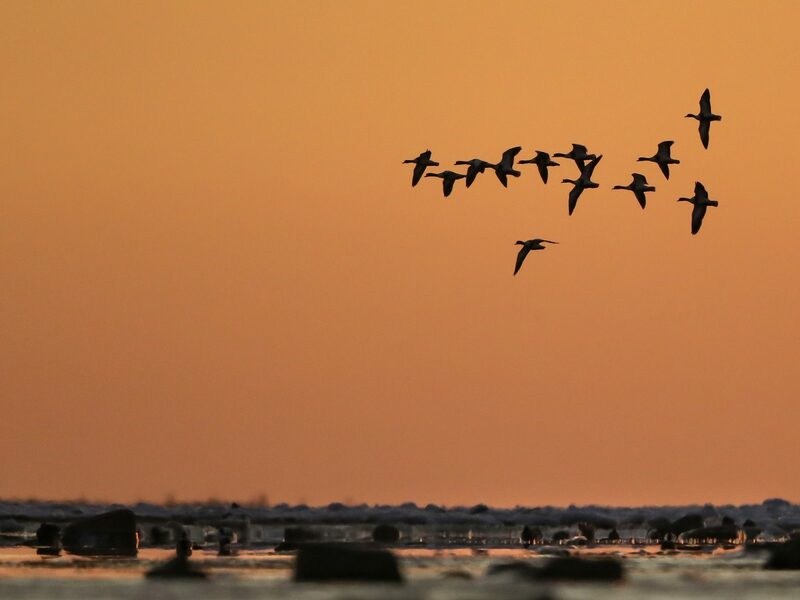 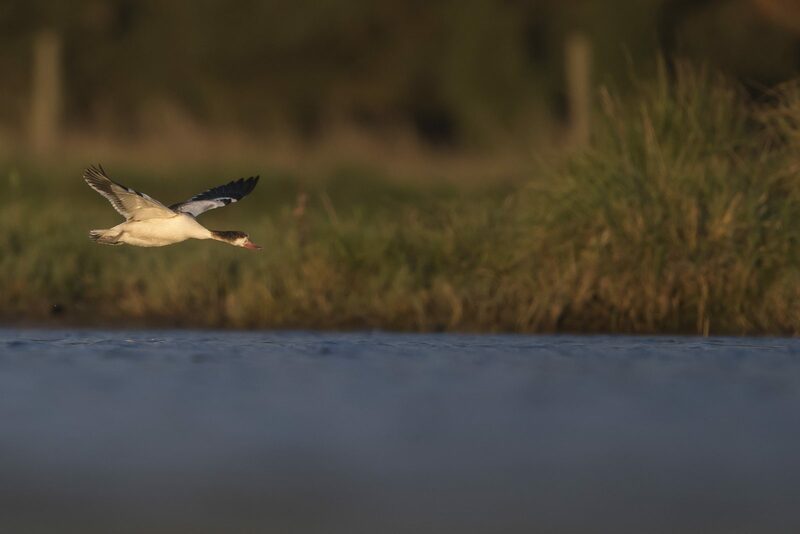 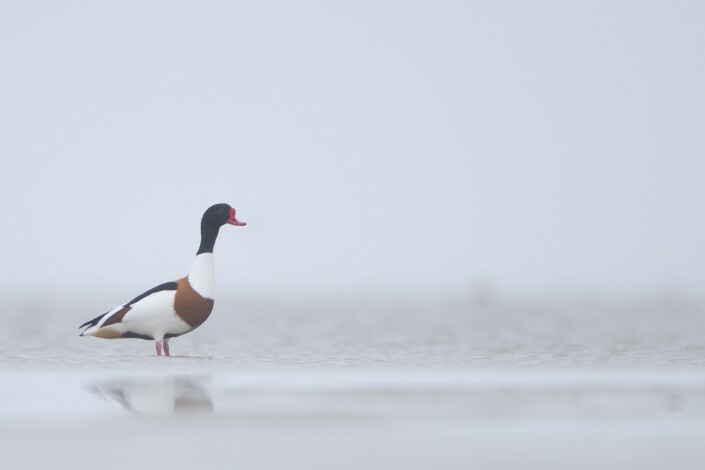 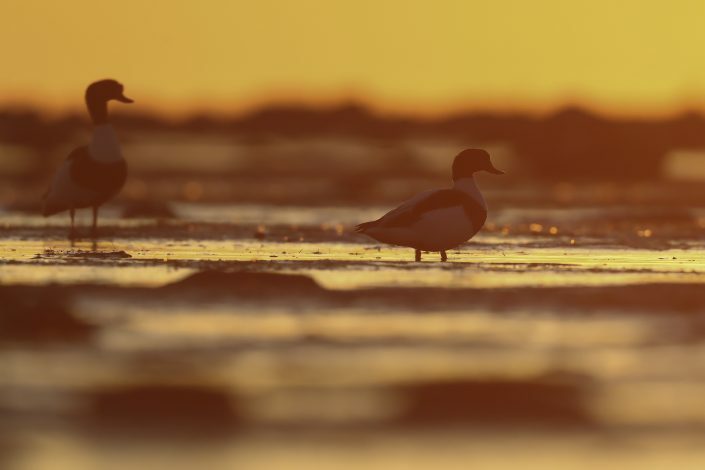 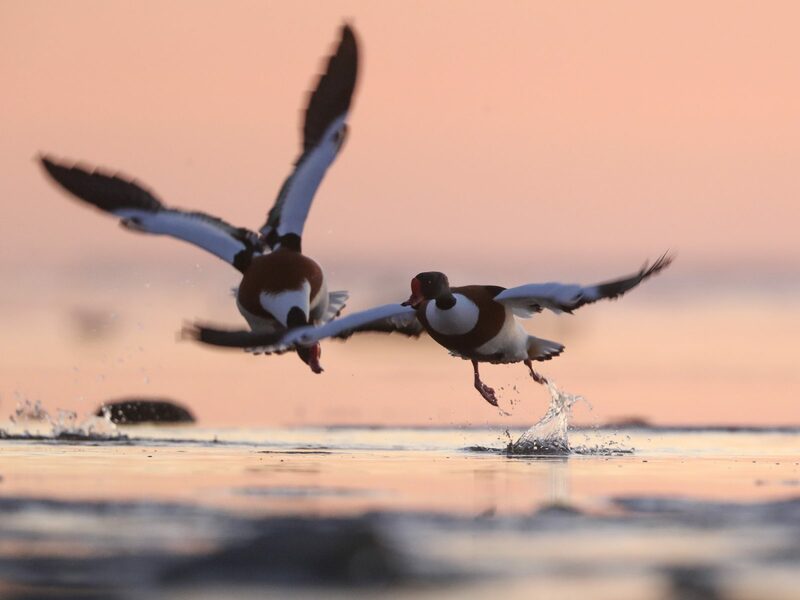 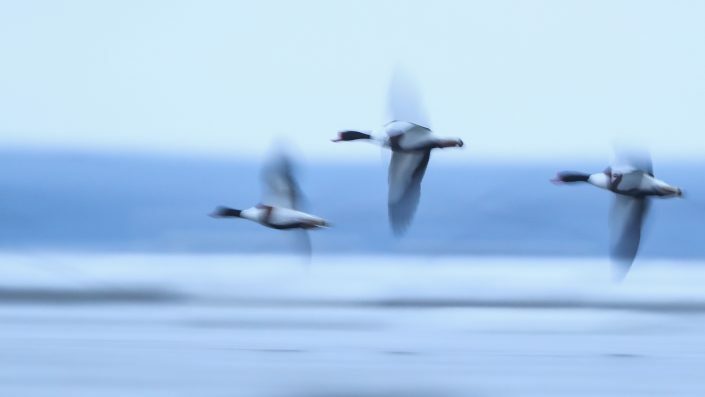 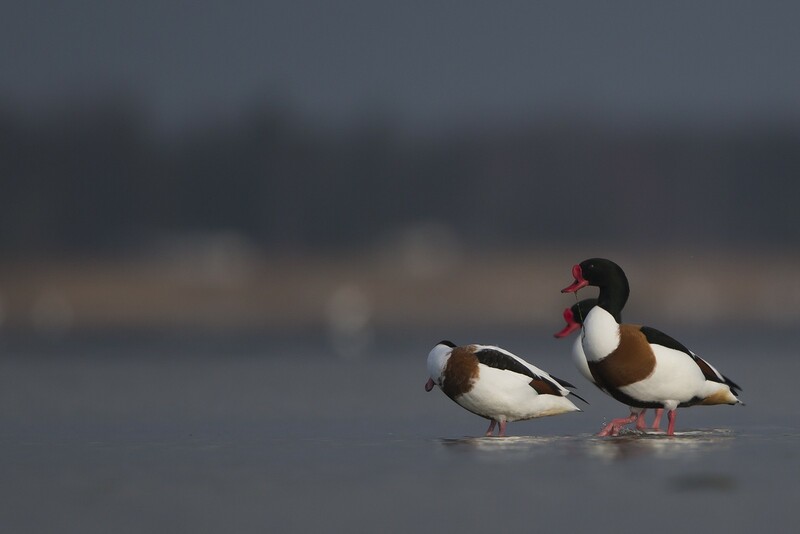 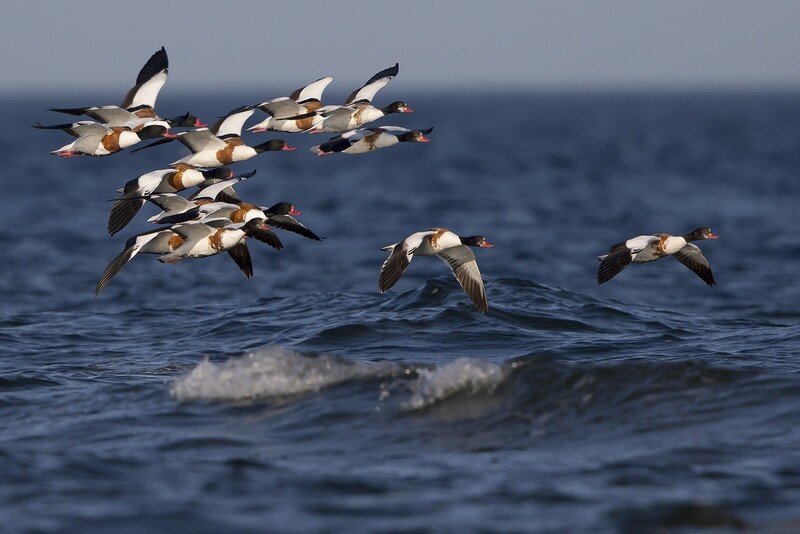 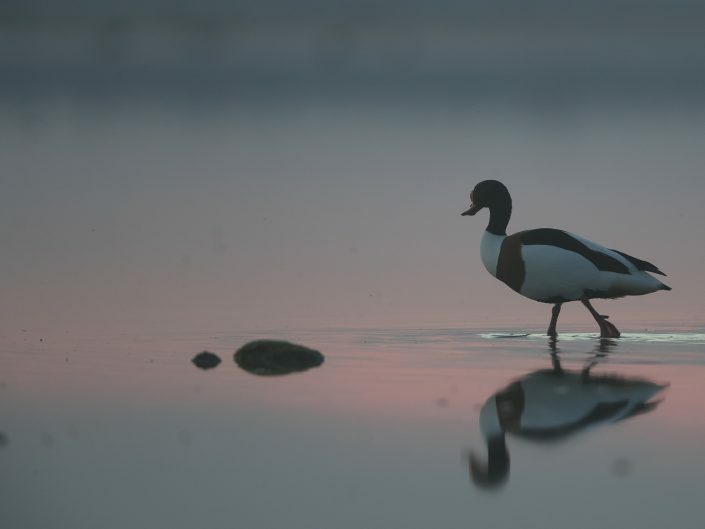 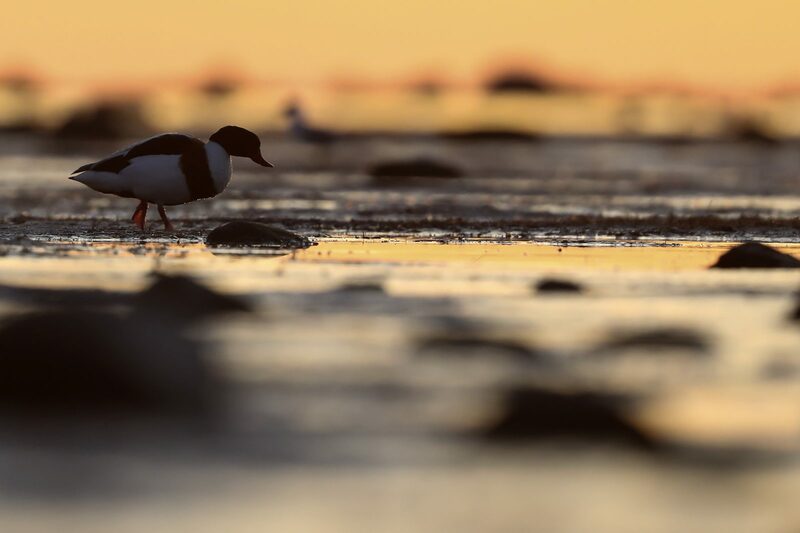 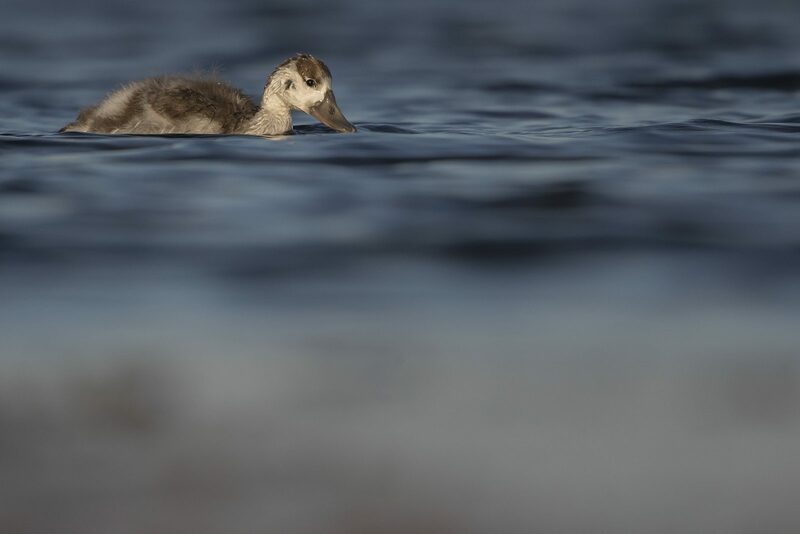 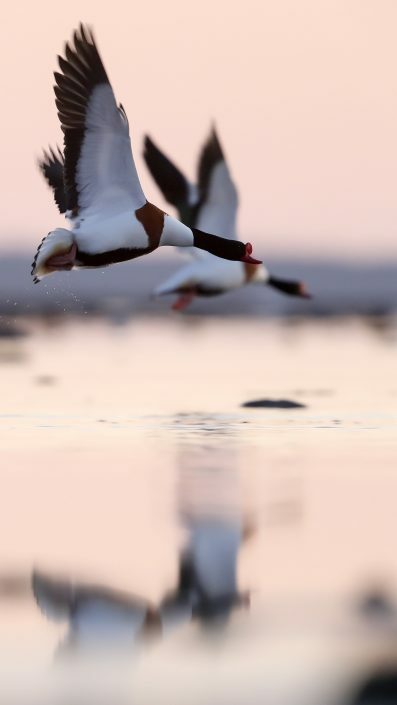 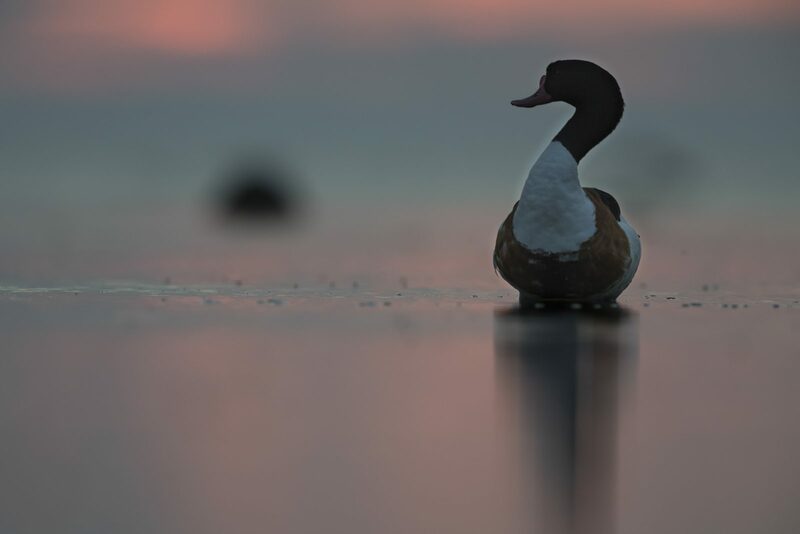 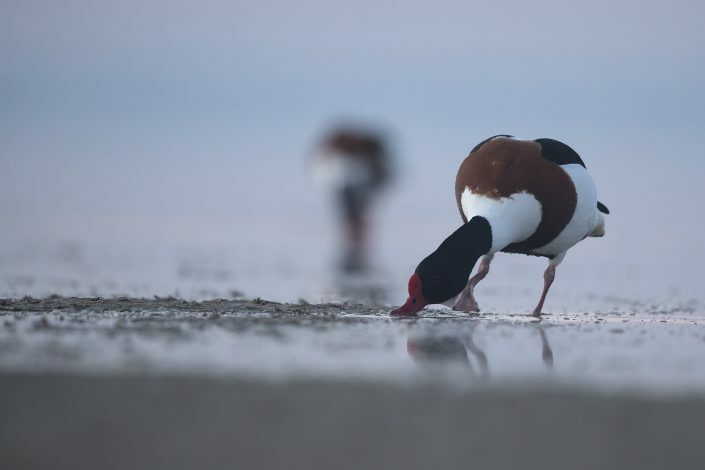 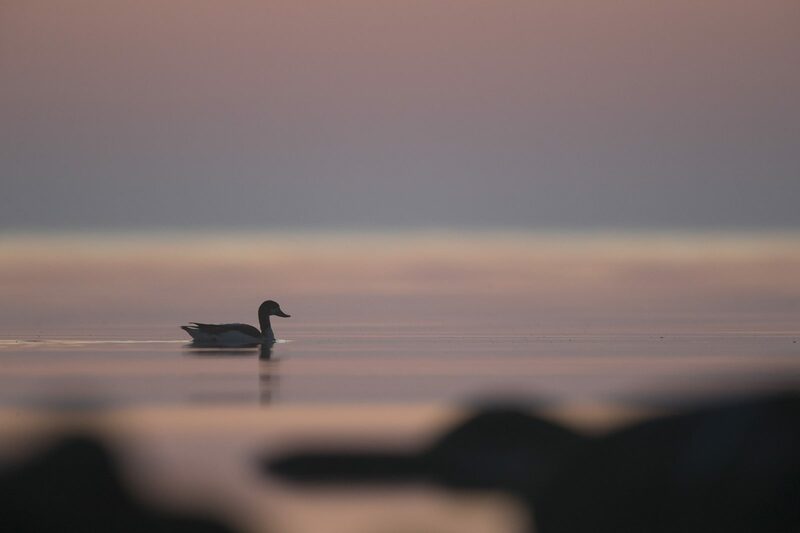 The common shelduck resembles a small short-necked goose in size and shape. 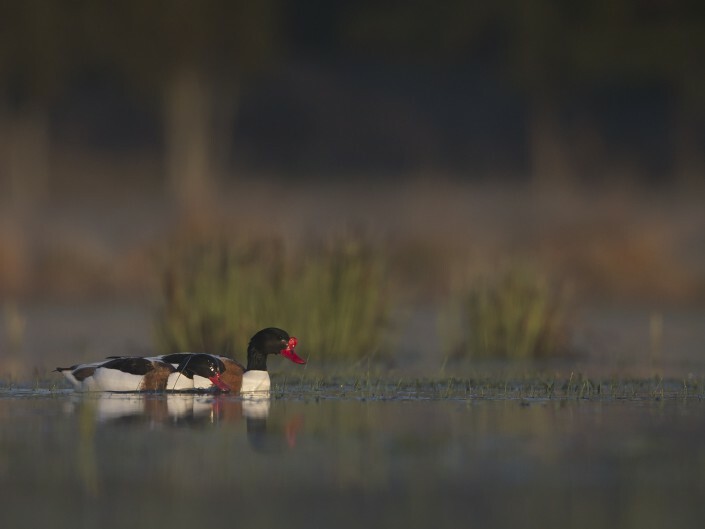 It is a striking bird, with a reddish-pink bill, pink feet, a white body with chestnut patches and a black belly, and a dark green head and neck.